The first time I became aware of my inner “mind chatter” I was about seven years old. The realization happened while I was brushing and flossing my teeth. As I became acutely clued in to the dialogue going on in my head it startled me so much I wanted it to stop. The more I listened the more amused I became, that is, until my oldest sister warned me that it was a symptom of schizophrenia. Growing up with ‘Psychology Today’ made my family life very interesting to say the least. Psychological warfare would become the weapon that killed and freed our impressionable young minds and perhaps what unraveled our ties to the Catholic church but from what I could sense from such a young age. nothing in our existence seemed unrelated or separate. 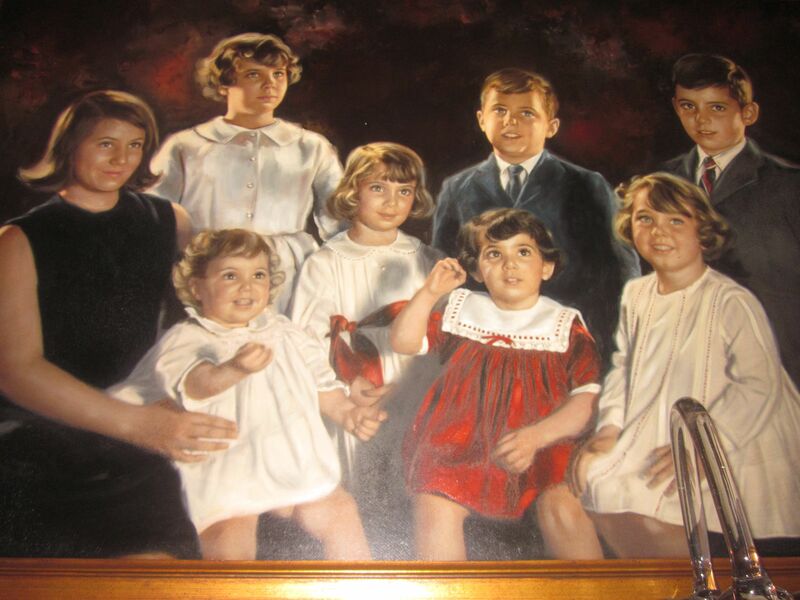 I also became aware that there was a reasonable yet mysterious reason why the man who painted the family portrait rendered me in a red dress while everyone else was wearing black and white and that it was absolutely no coincidence that everyone thought my oldest sister, Sarah, was our mom and that the ribbon around the waist of another sister, Sharon, was painted the same red as my dress. What was the artist seeing beyond our cherubic young faces? ~ by sandragrifomontimurro on October 27, 2013. What was he seeing, hmmm…..
Life holds many mysteries known and unknown, when these mysteries revolve around family the dynamics change ten fold. You are the chosen one the messenger of God the one he has blessed with un penetrable gifts. The color red sets you apart from the rest because you have “soul insight” more powerful than the 10% brain powers of your peers. You see and feel the whole of the people around you and within your thoughts. To me the red signifies a “God like Being” ready to manifest her world the way she needs it to be now and for future days to come.